Binyamin Netanyahu has succeeded in putting together a shaky coalition of parties that would give him 61 seats in the 120-member Israeli parliament. In such fragile coalitions, each small party has enormous power, since if it left, it would cause the government to fall and provoke new elections. 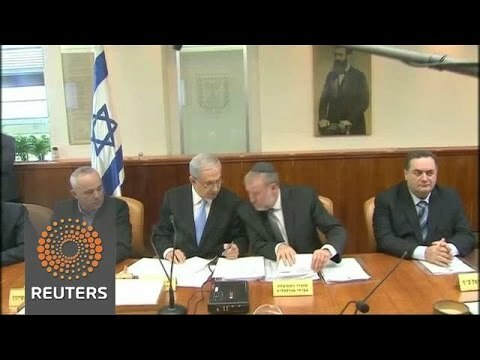 Netanyahu has again allied with the far, far right Ha-Bayit Ha-Yahudi or the Jewish Home Party, whose leader refers to Israelis to his left as “bacteria.” This small party opposes ever accepting a Palestinian state, which is to say, it is dedicated to keeping several million Palestinians stateless and without basic human rights. It also is dedicated to stealing even more of what little land they have left in the West Bank for new Israeli colonies there. If such a government were elected in Europe, with such principles and goals, no other capital would receive its politicians because they would be seen as toxic for their ultra-nationalism and discrimination against minorities. And, it is a sad commentary on the Israeli electorate that they elected this government. In other words, this is a government dedicated to denying millions their rights, dedicated to denigrating about half of the Israeli population themselves, dedicated to territorial expansion and expropriation of the property of others. In 1857-58 the people of Oudh mounted a determined rebellion against the British that nearly cost the latter their Indian empire, which Indians now call the First War of Independence but which the British refer to as the Great Mutiny, because even British Indian soldiers joined in, often massacring their officers. Or one thinks of the 1984 election of P. W. Botha to head the Apartheid government of South Africa. Botha had spearheaded constitutional reforms but left the black majority without representation in the government, just as the Palestinians of the West Bank and Gaza have no representative government that controls land, air, water and property rights in their territories. He ratcheted up secret police crackdowns on protesting Africans and strengthened the Apartheid system and that of Bantustans designed to denaturalize the African citizens. He had a stroke in 1989 and was forced out of office. A few years later Nelson Mandela was president of South Africa, occupying a position Botha had created for himself. Netanyahu’s policies and those of his far, far right allies, may or may not provoke the kind of trouble that torpedoed the political projects of Dalhousie and Botha. But if they do, it will come as no surprise.